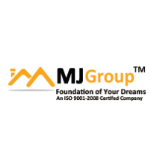 M.J. Infra Housing Pvt. Ltd.,a real estate Company, founded by Mr. Mohit Jaiswal (Managing Director) in the year 2014. M.J. Infra Housing Pvt. Ltd. as a diversified Real estate and Infrastructure company, having base principles of Honesty, Transparency, Wide Vision, Discipline and Commitment. The Company comprises of dynamic and exploring team of professionals under Sales & Marketing, HRs, Support, etc. We have highly experienced architects and engineers working with us, who have worked on wide range of projects during their tenure in different organizations. MJ Infra Housing Pvt. Ltd. believes that the best designs are the one that meet all your requirements. Our area of expertise includes free hold plot schemes, low-range housing projects, mid-range housing projects, etc. Our projects are highly intricate, cost-effective yet are stronger and resilient, We feel proud when our customers see our work with smile on their faces. Over-delivery is a trait that we share in our team, we always deliver more than expected.